Simplus helped A. Duie Pyle get the most out of its Sales Cloud service. Simplus helped A. Duie Pyle get the most out of its Sales Cloud by integrating different record types to track leads, create high-level reports, and create a logistics system that would pull relevant invoice data into Salesforce. Disparate manual systems: There are several departments involved in different types of sales. These departments handle leads and pending deals differently. As such, all sales-associated activities were tracked in individual documents (i.e., notes, spreadsheets, Outlook, etc.) and then transferred by sales reps monthly into a spreadsheet template. Additionally, shipping, manifest, and claim data were not stored in the same system as pending sales deal information. Bad reporting and tracking practices: A. Duie Pyle needed a way to accommodate different service offerings within the transportation industry (3PL, Brokerage, Dedicated, etc.). It also needed a way to distinguish between corporate accounts, divisions, and shipping locations. Additionally, it had no reliable pipeline reports. Created a single source of truth: Sales and service data relating to accounts is now stored in one system. Manual spreadsheets and data stored in multiple areas have been eliminated. 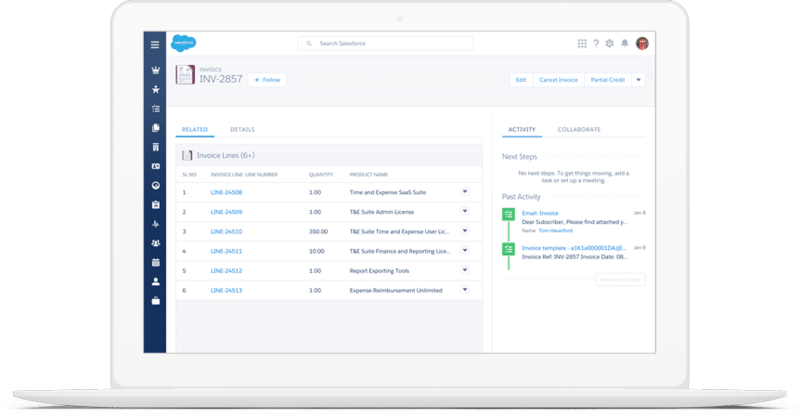 Sales reps now enter sales activity into Salesforce, and the reporting tools handle the rest. Increased transparency for all stakeholders: Sales teams can now see all account-level, logistic-specific and deal-related data on one screen. Management can now easily see at-risk and pending claim data. Improved reporting: Management has reliable pipeline reports available in real time. Commission reporting is now more accurate because all data related to the deal is stored in one system and can be reported on collectively. distribution services supported by 22 transportation service centers and 9 warehouses throughout the region.